As a long-time fan of Rudyard Joseph Kipling’s stories, including The Jungle Book, I have been fascinated by the many movie adaptations – from animation to live action. Disney’s two adaptations (1967, 2016) are what most people first think of when considering the feral child Mowgli on film. 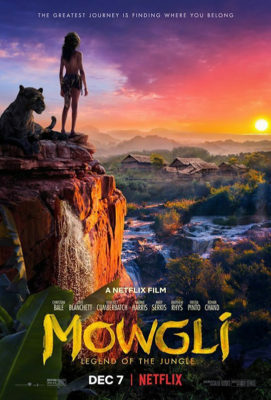 The latest version, from acclaimed actor director Andy Serkis reinvents Kipling’s masterpiece about a feral boy torn between two worlds – the wild and the civilized It was filmed more than three years ago by Warner Bros. but held back to avoid direct competition or confusion with Jon Favreau’s lavish Disney blockbuster. Serkis does not avoid the darker substance of Kipling’s colonial allegory but does it with excellent celebrity voice work and impressive special effects. His skill as a director and performance-capture expert serve him well here. Even though Serkis adds elements and moments not in the source material, the heart of the established and beloved story remains intact. We again follow Mowgli (Rohan Chand) as he navigates his journey between two worlds – he belongs in neither — and discovers his true destiny and where he really belongs, becoming a legend along the way. There’s a universal metaphor here beyond any political notions of colonialism Kipling may have espoused. Christian Bale, Cate Blanchett, Benedict Cumberbatch, Andy Serkis, Freida Pinto, Matthew Rhys and Naomie Harris lead an all-star voice cast in this visually stunning and emotionally resonant adventure that lingers like a fever dream long after final fade out. The movie reminds that the jungle is a terrifying place and nature can be cruel, but humans are even crueler. Kipling’s serious themes underscore this visually stunning, technologically impressive motion picture that may not be a perfect fit for younger kids but is definitely worth a look. Your prayers have been answered. The Nun is here. Explore another dark corner of the “Conjuring” universe, whose record-setting films have terrified audiences around the world. Demian Bichi stars as Father Burke, Taissa Farmiga as Sister Irene, and Jonas Bloquet as local villager Frenchie. Director Colin Hardy’s slow-burning gothic thriller is a mash-up of bloody gore-horror with elements of an action comedy. Strong performances, spooky atmosphere and a couple cool set pieces enhance the story about a young nun at a cloistered abbey in Romania who takes her own life. 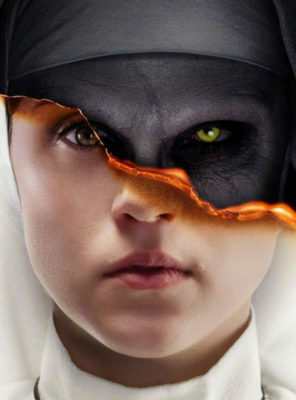 When a priest with a haunted past and a novitiate on the threshold of her final vows are sent by the Vatican to investigate, they uncover the order’s unholy secret. Risking not only their lives but also their faith and their very souls, they confront a malevolent force in the form of the same demonic nun that first terrorized audiences in “The Conjuring 2.” The abbey becomes a horrific battleground between the living and the damned. 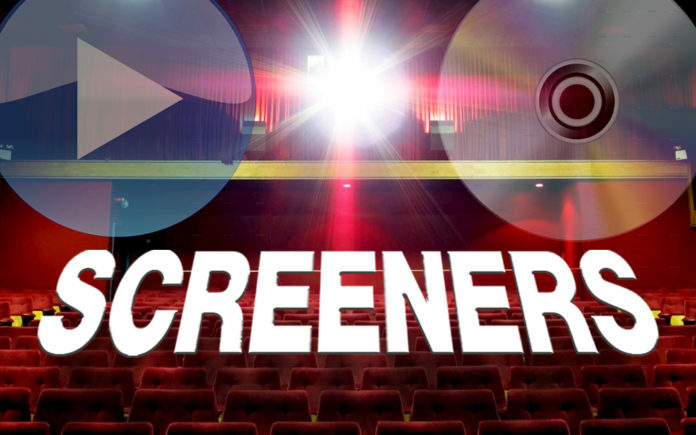 Extras include: “A New Horror Icon, “Gruesome Planet,” “The Conjuring Chronology” and more than 10 minutes of deleted scenes. Warner Bros. Home Entertainment.